Simon Estes, internationally renowned opera singer and humanitarian, visited Madrid High School on Friday, February 8. 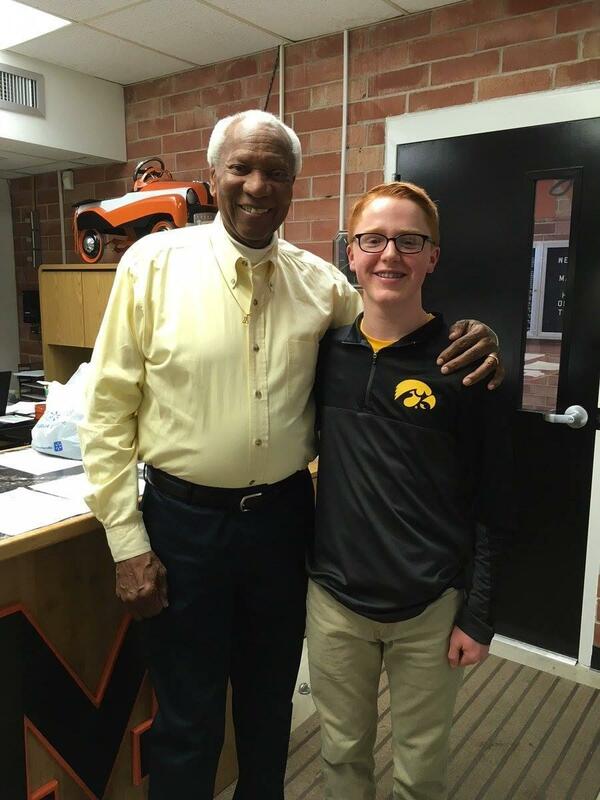 Simon Estes, internationally renowned opera singer and humanitarian, visited Madrid High School on Friday, February 8, to conduct an interview with high school junior Rory McDermott. Rory is a student in Mr. Jim Mertz' world history class and is doing a project on Estes for the National History Day contest. Estes shared stories of his upbringing in small-town Iowa, his travels throughout the world performing music, and his efforts to stop the spread of malaria throughout the world. Estes left Madrid students & staff with this message: "I don't feel any different today than I did when I was growing up in Centerville, except realizing that I have truly been blessed." Thank you, Mr. Estes, for taking time out of your day to make a difference in education for our students!